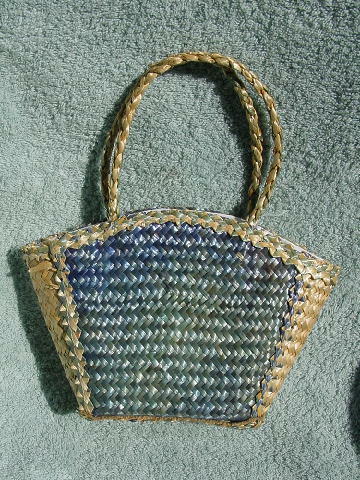 This little purse has a light blue woven straw design across the top and the two 11 1/4" long handles. There is a solid blue background in the front and back. 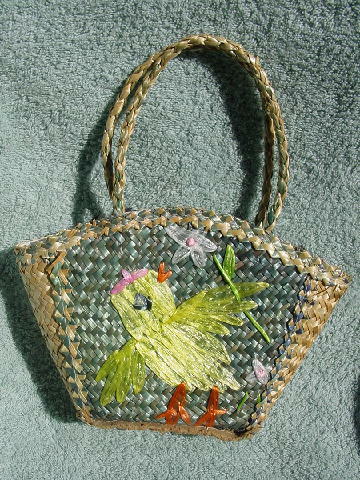 The front has a raffia chicken, flowers, and leaves in yellow, pink, orange, green, and white. It has a white plastic lining. A child model held it in a photo shoot.